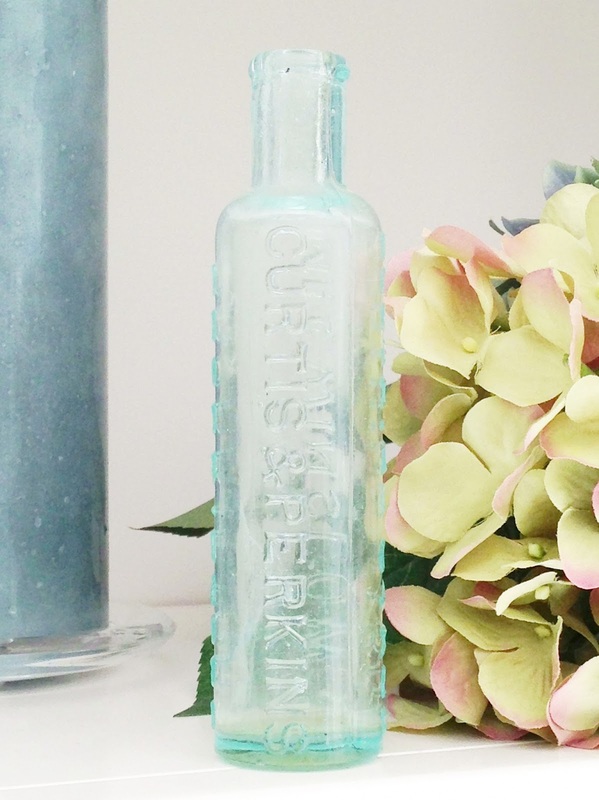 the other day when i was window shopping at Pottery Barn i noticed these beautiful sea glass bottles. 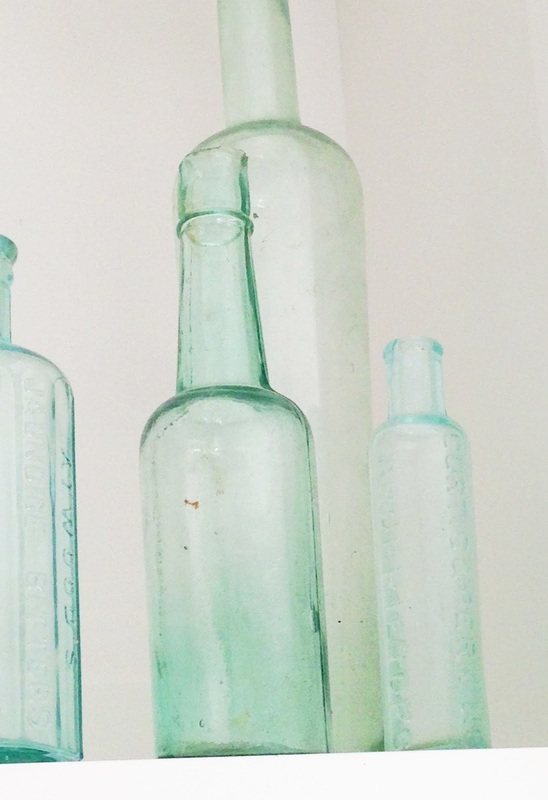 i must have filed them into my memory because about a week later, i had my husband unpack a few bottles from his antique bottle collection. we have carted these bottles around from house to house and finally we have a place that displays them nicely! i placed them on the bookshelf above my bed and i just love the beach style feel they evoke. 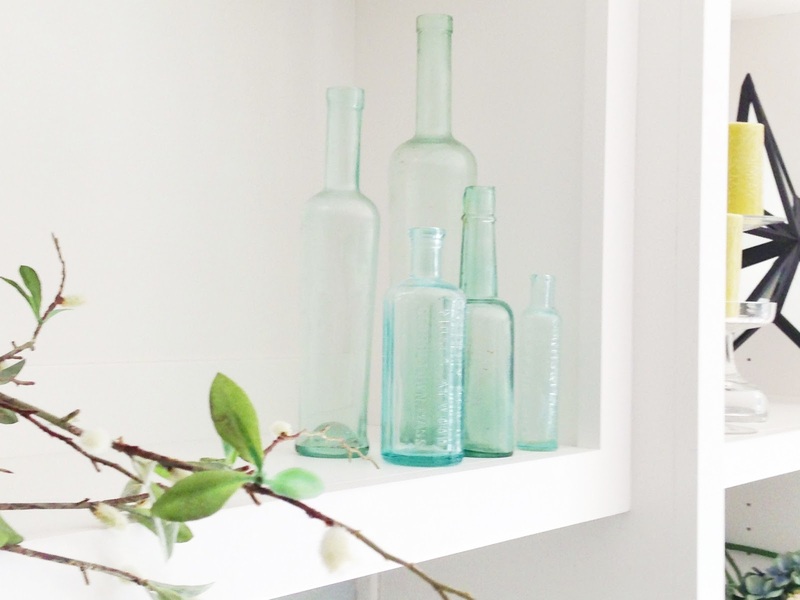 if you have any antique bottles laying around your house, or if you happen to buy them at either pottery barn or an antique store, get them out and place them in spots in your house that will show them off. my husband unearthed these in the fields of vermont where he grew up. long time ago, the farms would have big dump sites located on the far corners of their land. after his fishing adventures, michael would just check out these areas and collect whatever bottles were in tact. we have some amazing treasures that are now displayed in our california home. thanks for visiting! by the way, on the internet, Pottery Barn sells the bottles as a set. But, if you go into the stores you can buy them individually. to see them in their original state.